Affiliate Member Firms shall be limited to those firms that do not furnish independent consulting engineering services and are not eligible for ACEC WI Member Firm membership and who support the strategic goals of ACEC WI. Firms do not have to maintain an office in Wisconsin. Affiliate Member Firms may participate in activities as set by ACEC WI policy including serving on all special committees, but may not serve on standing committees, hold office, chair committees or vote on ACEC WI matters. Learn about the member benefits of joining! Affiliate membership dues are $500. 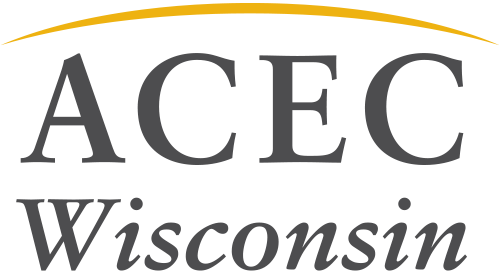 Dues are assessed at the rate determined annually by the ACEC WI Board of Directors. Dues will not be prorated. Sponsorship opportunities are also available. Contributions or gifts to ACEC WI are not deductible as charitable contributions for federal income tax purposes, but dues payments may be deductible as an ordinary and necessary business expense subject to restriction imposed as a result of association lobbying activities.